Jonathan Edwards continues to capture the interest of many as one of America's greatest theologians. However, the very thought of reading the works of such an intellectual giant can be intimidating. In this book, W. Gary Crampton renders a clear and concise introduction to the thought of Jonathan Edwards in an enjoyable conversational format. By posing questions and crafting answers from selected quotations, Crampton provides a comfortable atmosphere for surveying the life and thought of Edwards. This dialogue makes an excellent resource for those looking for a brief and accessible guide on Edwards. W. Gary Crampton holds the degrees of Th.M. and Th.D. from Whitefield Theological Seminary, and Ph.D. from Central School of Religion, in Surrrey, England. He is an ordained teaching elder in the Reformed Presbyterian Church and the author of several books, including Meet Jonathan Edwards, What the Puritans Thought, and What Calvin Said. 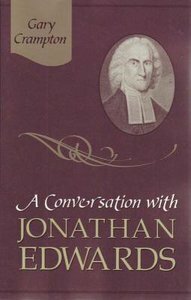 About "A Conversation With Jonathan Edwards"